Depo 320-1506L-AS Subaru Forester Driver Side Replacement Parking/Signal Light Assembly Style: Driver Side (LH). Depo 312-1508L-AS Toyota Avalon Driver Side Replacement Parking Light Assembly Style: Driver Side (LH). Depo 335-1606L-US Cadillac Escalade/GMC Yukon Denali Driver Side Replacement Parking/Signal Light Unit Style: Driver Side (LH). Depo 312-1547L-AS9 Toyota Tacoma Driver Side Replacement Parking/Side Marker Lamp Assembly Style: Driver Side (LH). 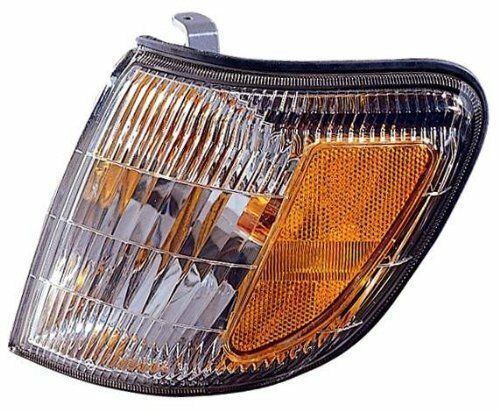 Depo 313-1510R-AS Isuzu Trooper/Acura SLX Passenger Side Replacement Parking/Signal Light Assembly Style: Passenger Side (RH). Depo 332-1678L-US Chevrolet Driver Side Replacement Parking/Signal Light Unit Style: Driver Side (LH). Depo 312-1556R-AS Toyota Tundra/Sequoia Passenger Side Replacement Parking/Signal Light Assembly Style: Passenger Side (RH). Depo 314-1612L-AS Mitsubishi Eclipse Driver Side Replacement Parking/Signal Light Assembly Style: Driver Side (LH). Depo 315-1534L-US Nissan Pathfinder Driver Side Replacement Parking/Signal Light Unit without Bulb Style: Driver Side (LH). Depo 330-1501L-US Ford Explorer Driver Side Replacement Parking/Side Marker Lamp Unit Style: Driver Side (LH). Depo 373-1505L-US Volvo Driver Side Replacement Parking/Signal Light Unit without Bulb Style: Driver Side (LH). Depo 773-1514R-AS2 Volvo S80 Passenger Side Replacement Parking/Signal Light Assembly Style: Passenger Side (RH).